From connecting with other people living with limb loss to rounding up expertise from amazing presenters, there is nothing like the experience of the Amputee Coalition National Conference. If you or a family member or friend is living with limb loss or limb difference, attending National Conference is an ideal way to meet people who really understand what you are going through. You can select from nearly 100 educational and motivational sessions, participate in hands-on clinics, and try out adaptive activities. Other benefits of attending conference include the opportunity to browse dozens of exhibits, to take part in research, or to join in entertainment like the closing night dinner and dance. Some of the most popular activities include gait clinics, browsing the exhibit hall, and joining in the Support Group Summit. This promises to be one of the most highly anticipated events of the year! We’re expecting an increase in attendance, and we’ve already had interest from companies who have never exhibited before! Why is THIS the year to exhibit and sponsor? The Amputee Coalition’s National Conference is anticipated more than any other limb loss community event. The National Conference is the premier meeting event for the limb loss community, with proven programs in recovery, readjustment and resilience. The Amputee Coalition’s National Conference brings consumers directly to you. Amputees from all across the country are anxious to once again come together, and the anticipation for the Conference throughout the community is at its highest point ever. This is the place to be for professionals involved in caring for and selling products to the limb loss community. 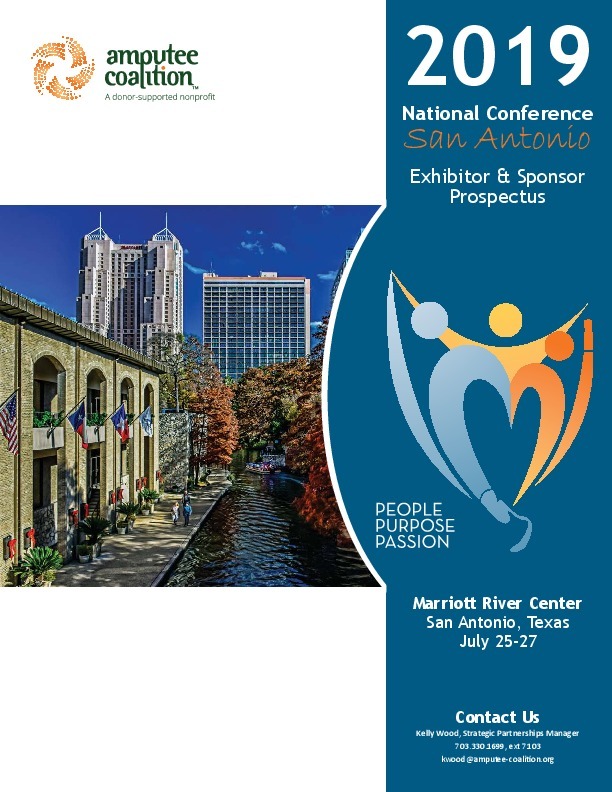 The National Conference will feature new product launches, educational sessions, adaptive clinics, and support programs that are all highly sought after by amputees, their families, and caregivers.